Braided hairstyles are here to stay. 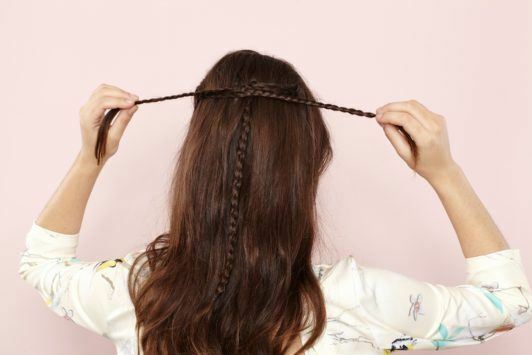 Add these half braided styles to your list of braids to try. 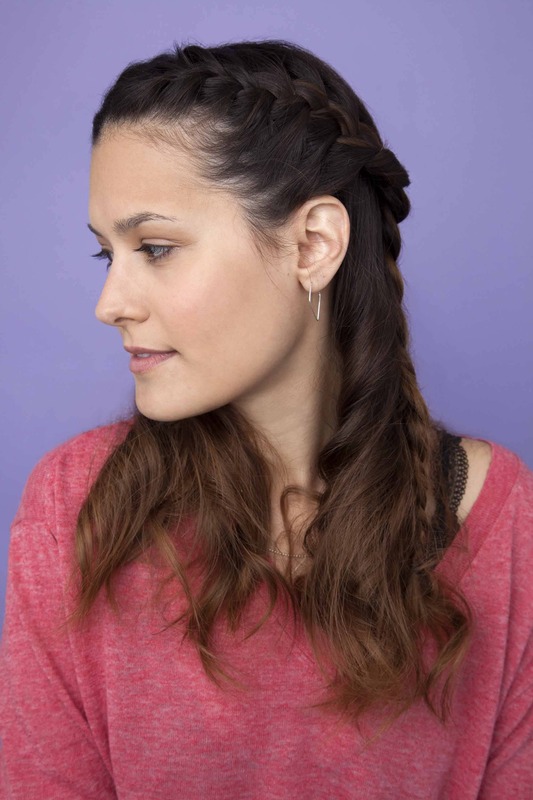 We love a quick and easy side braided style. 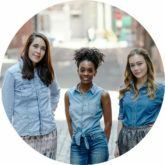 If you can’t decide whether to wear your hair up or down for your upcoming string of parties or casual outings, good news: You don’t have to choose! The normcore half up braid, one of our latest street-style discoveries, is the perfect mix of practicality and cheeky style. For look number one, we’re teaching you how to create this super easy half up half down French braid style. Step 1: Wash and condition your hair. Firstly, start off with clean hair. 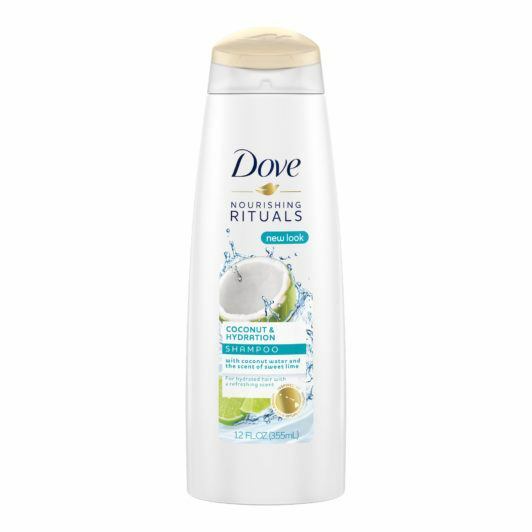 For a fuller texture, wash hair with Dove Nutritive Solutions Coconut & Hydration Shampoo followed by Dove Nutritive Solutions Coconut & Hydration Conditioner. Then dry your hair completely using a tried and true air-dry method or by using a blowdryer. Now that your hair is clean, you’ll need a super easy technique to make your hair look more worn-in to give it that second-day hair look. 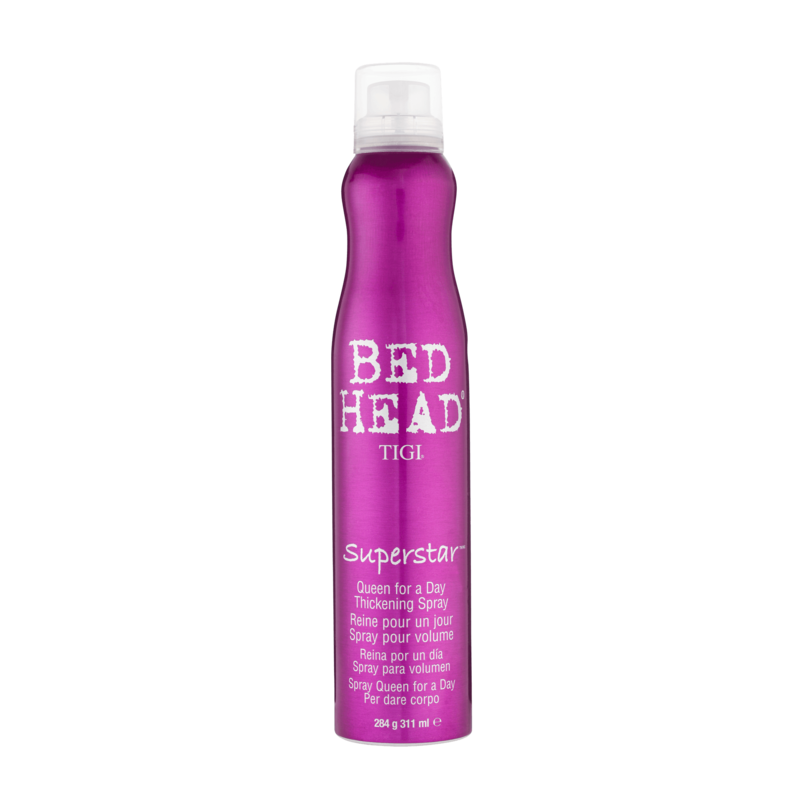 Spray Bed Head by TIGI Superstar Queen for a Day Thickening Spray onto the roots and throughout your hair to give it body and lift. 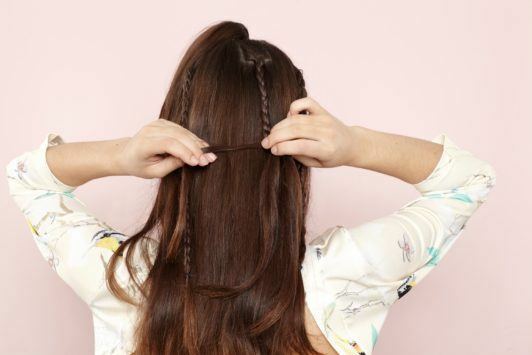 Use your fingers to work the product through your hair. Step 3: Create tight braids on each side. For a more undone look, skip the perfect center part and opt for an off-center option. After creating your part, section hair on each side behind your ears to create your top half. Clip away the back section of hair then work on the front. Create a French braid on each side, braid hair as tightly as you can and seal the ends with an elastic band. Pro tip: Use a clear rubber band to blend in with your hair color. 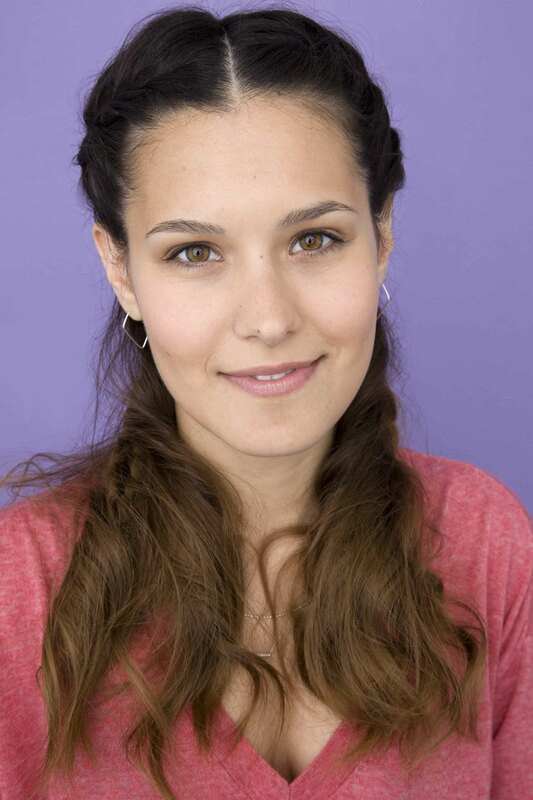 Step 4: Add texture to your braids. Pancake your braid to create a more ‘lived-in’ texture, then pull your braid apart even more to loosen and enhance the ‘bed head’ look. Step 5: Set your style in place. Finally, to complete this half up braided hair look, you’ll need a hairspray that sets your braid in place while also keeping flyaways at bay. 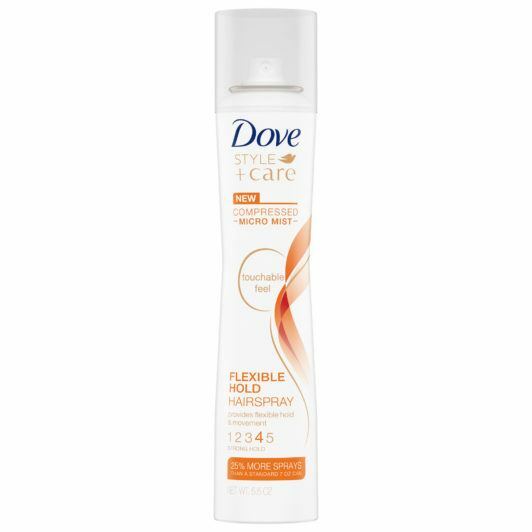 Apply a spritz of Dove Style+Care Compressed Flexible Hold Hair Spray all over your hair to ensure these issues are taken care of! A perkier, more casual variation on the regular half-pony, the braided half-updo also has a slight trompe l’oeil effect, where the tail of your ponytail hides any and all seams from view—giving your mane a bit more texture and personality. Some can view this look like the gateway to box braids or other more complex rope styles; we call it our new go-to look for the winter, especially since we’re all jonesing for that tropical vacay and also need a braid that makes room for beanies. A perkier, more casual variation on the regular half-pony, the braided half-updo also has a slight trompe l’oeil effect, where the tail of your ponytail hides any and all seams from view—giving your mane a bit more texture and personality. Some view this look as the gateway to box braids or other more complex rope styles; we call it our new go-to look, especially since we’re all jonesing for that tropical vacay! Start with clean, freshly washed hair. Prep your hair before braiding by washing with a nourishing system. 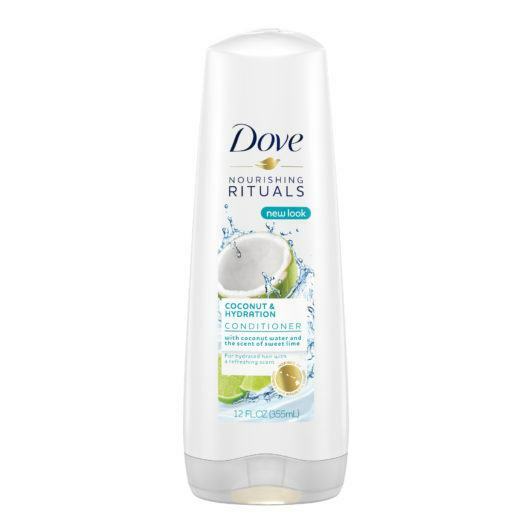 We like the zesty island scent of Dove Nutritive Solutions Coconut & Hydration Shampoo and Dove Nutritive Coconut & Hydration Conditioner, which gently remove prior buildup while protecting against dryness. Detangle and comb hair until smooth, and gather the top section into a high ponytail on the crown of your head. Secure with a neutral-colored hair tie. Flip your half-pony towards your forehead and out of the way for now. 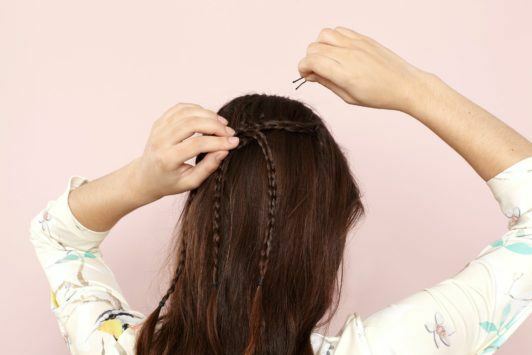 Next, create two to three accent braids across the back of your head (one on each side, or on the left, center and right of your head), just below your ponytail. Plait till the mid-lengths or way down till the ends; the shorter or more incomplete the braid is, the more “boho” it looks. Tie the braids together via a literal Celtic knot, criss-cross them over each other or even braid them together to form one giant plait. Note: Just do one to two chains, and keep it flat on the head. Secure the style to your head with pins on each side, as well as underneath the knot. Finally, flip your half-ponytail back down against your crown, aligning the ponytail so it hides the knot of your twisted braids. 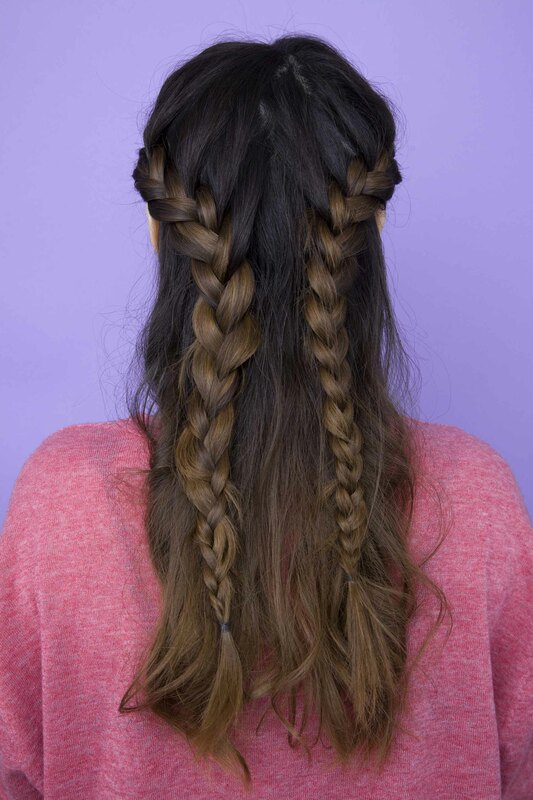 Smooth down any flyaways on the base of your half up half down braid style, and you’re all set! how to Create a Milkmaid Braid.